2012 TOTAL WARRIOR UPDATE!! Scott Sonnon & Lt. Col. Dave Grossman. Both legends in their time. People travel the world to learn from these pioneers. 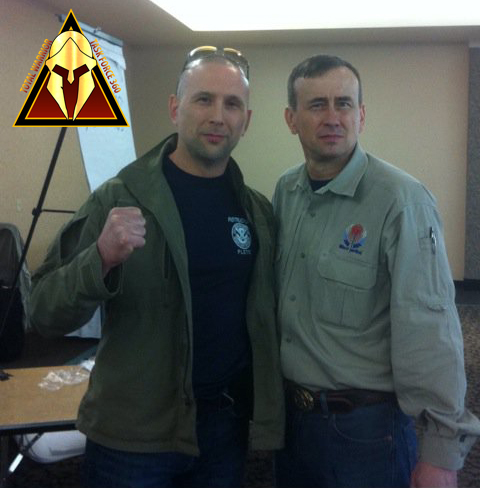 Both men will be at the 2012 Total Warrior Camp, February 24th-26th in Vernon, NJ. Special Guest Instructor Scott Sonnon will be presenting his 'Warrior Wellness' class on Saturday & Sunday. Keynote Speaker Lt. Col. Dave Grossman will be presenting his three-hour lecture on 'The Bullet-Proof Mind' on Sunday from 0900-1200 and again from 1330-1630. These men, along with an outstanding team of world-class instructors including Navy SEAL Stephen Nave, TACFIT's Miquel Rivera, NYPD's Bill Lawrence and many more make attending the 2012 Total Warrior an event not to miss. The complete class schedule will be posted soon.